Handmade, custom, and DIY; all synonyms that strikes your fancy? That's because you're looking for a personal feel to whatever you're working on (DIY wedding invites, decor, bombonieres) and if it's a DIY wedding that you're planning for your big day, we have a few style inspirations and trend alerts up our sleeves. For a cohesive DIY wedding theme you need an idea of what the end result will be. Find inspiration online to personalise or recreate them with some choice DIY items. These may be used for wedding invitations & accessories, stationery and even to accent various items for your wedding day. Here are some ideas for a trending DIY wedding style. 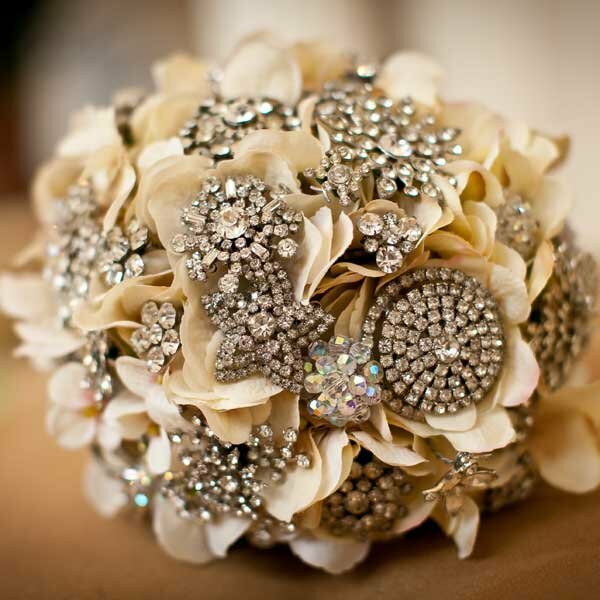 Dazzling Brooches: Brooches can make for a beautiful bouquet design. With some delightful faux pearl and diamante brooches used for the DIY wedding invitations and stationery, you can use the same for the wedding cake accents, and even feature the same brooch in your wedding dress or the bridesmaid's dresses. 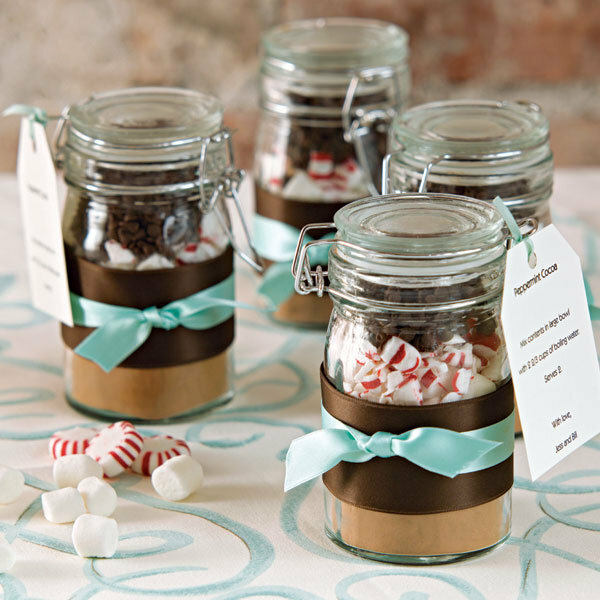 Mason Jar Bombonieres: A popular option for many brides, these mason jars give you the option gifting personalised wedding favours that are visually appealing. You can stick on a personalised label and make it uniform with your wedding theme and style. The same goes for Bottle Bombonieres too. Vintage Traveller Style: Planning a designation wedding with worldly touches. If you've already picked out destination wedding invites and accessories such as a boarding pass invite and luggage tag accessories, then you can look for ways to tie it in for the big day. 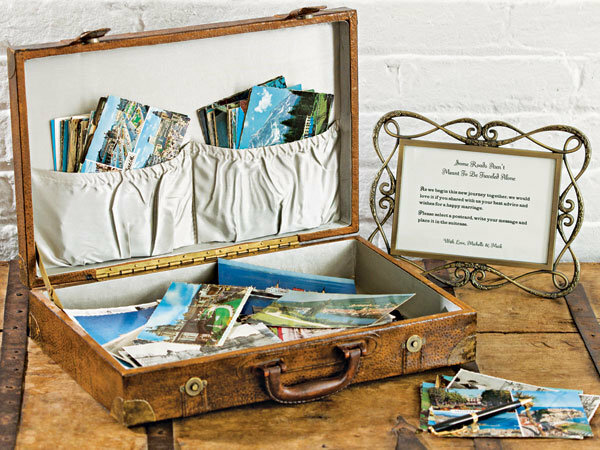 Vintage luggage with unique postcards are ideal for a guest book (which can be used later as a great framed memento), globes as the table centrepieces and postcard place cards too. Boutonnieres Accents: Often it's the ladies in the bridal party that receive most DIY accents, but one thing that can definitely be handmade is the boutonnieres. 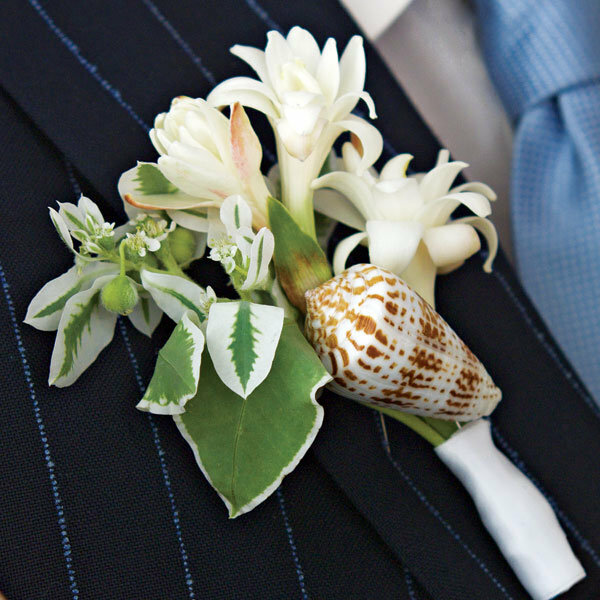 For instance, a beach themed wedding can feature a lovely seashell accompanied by flora. Use origami inspirations to make a beautiful backdrop of cranes or stars to the usual streamers or fans. Make it even classier by using speciality card stock, where if you're using glittered specialty paper you can focus a spot light that will give off a cool effect. Find the perfect wedding invite template so you can add your personalised touches and have it printed via the best DIY wedding invitations online shop in Australia - DIY Invitations Australia! This entry was posted in DIY Invitations Ideas and tagged inspirations, autumn diy weddings, wedding bomboniere boxes, wedding favours, bomboniere Sydney, wedding bonbonniere, handmade weddings, luxe wedding invites, online shop, diy invitations australia, invitation box, bomboniere boxes, crafts, cards, stationery, trends on April 9, 2015 by R2 Networks Administrator. Autumn time is quite beautiful, whether in the northern or southern hemisphere. Planning weddings during this time when the leaves turn colour is just breathtaking and the perfect inspiration for your Autumn DIY wedding. Your DIY wedding invitations, the beautiful decor and maybe even the bridal fashion colours and even how you accessorise the boutonnieres and wedding favours can take after it. With autumn under way in Australia and its neighbours and those across the globe, we've put together some ideas for your DIY wedding style. Pantone has released their autumnal colours with Marsala being the winner. The rustic Toasted Almond is quite popular with DIY weddings for the ease of matching it to recyclables and organic materials, but if you're looking to add an old world charm with metal items such as birdcages and such, the Glacier Grays would be ideal for this wedding colour palette. When it comes to DIY wedding invites, you can be creative with do it yourself stationery items such as cardstock, specialty wedding paper, embellishments and various tools that can help you create the look you want. You need not break away from your wedding invitations budget. With a little guidance you can do anything you set your mind to. You can include custom embossing, cutwork and designs on your DIY invites for weddings. Here's how! DIY Embossing can be done in 3 DIY techniques; heat embossing with stamp, glue, embossing powder & heat gun; stencils with a knitting needle, and embossing folder with a rolling pin. The first two options are ideal if you have a small design to emboss whereas the latter would be best for an all-over design. DIY Cutwork can be done either through punches or using a stencil and craft knife. Punches are ideal for a focal or group of design(s) and borders whereas a stencil would be ideal for the former as well as inset design. Illustrated Designs & Borders can either be printed using your home printer or done using stamps and ink. Here are some inspirations for your DIY wedding. Be inspired to create a beautiful look for your DIY wedding, with these DIY inspirations for your invitations and overall theme. This entry was posted in DIY Invitations Ideas and tagged diy illustrations, diy cutwork, inspirations, autumn diy weddings, wedding bomboniere boxes, wedding favours, bomboniere Sydney, wedding bonbonniere, handmade weddings, luxe wedding invites, online shop, diy invitations australia, invitation box, bomboniere boxes, crafts, cards, embossing, stationery, trends on March 4, 2015 by R2 Networks Administrator. Inspiration can come in all sizes and shapes, not to mention textures. It often brings a pleasant aesthetic appeal to the item it's represented on such as wedding invitations, bridal wear and even decorative items for the wedding ceremony and reception. Texture is defined in two ways; "the feel or shape of a surface or substance; the smoothness, roughness, softness, etc. of something" and also "the quality given to a work of art by the composition and interaction of its parts". While the former definition is literal, the latter is figurative. Nevertheless whichever you pick, there are ways in which you can be inspired but texture to create a beautiful wedding theme and also create the first preview of it being the DIY wedding invitations. Whether you're looking to nature or man-made inspirations, with creativity and the right materials and tools, you can get a look that's memorable that also resonates your interpretation of the inspired look. What if your inspiration was from white feathers, what would your wedding day look like? Will your wedding invitations have actual feathers as an embellishment or will it feature feather textured specialty paper? What will the wedding dress be? What about the wedding cake? We have put together this wedding inspiration board featuring DIY Invitations products such as the wedding paper, printable templates and Hardcover wedding invites and other embellishments you can use too. How about pink coral as your inspiration? Unfortunately or fortunately, you can't use pink corals unless they are cosmetic, however you can be inspired to use items that mimic or interpret it. It all depends on your interpretation. We've put together a DIY wedding inspiration board that included the thermography specialty paper in a pink coral hue with a slight sheen that mimics the rays of the sun reflecting in the reef. There are many types of wedding specialty paper to choose from for you to use for your DIY wedding invitations, accessories and stationery. Whether it's for the ceremony and reception as well as thank you cards that will be sent to the wedding guests to thank them for their presence at the wedding as well as say thanks for their thoughtful gifts too. It's always good etiquette to do so, gift or no gift. With a selection of such wedding paper types that range from embossed, flocked, metallic, glittered, screen printed and thermography paper, you are able to create different looks as samples for you to select which DIY wedding invite design looks the best and then select the best wedding invitation for the template for your DIY stationery. This entry was posted in DIY Paper & Card Stock, DIY Wedding Invitations, Wedding Speciality Paper and tagged DIY Wedding Invitations, screenpritned, peacock, feather, coral, wedding paper stock, textured paper, diy brides, layered, hardcover, handmade, paper crafts, laser cut, paper cut, stickers, seals, unique envelopes, photographs, liners, diy envelope, washi tape, embossed, gift wrapping, watercolour, DIY invitation boxes, luxury, hardcover wedding invitations, accessory, paper stock, brides, easy DIY, punches, accessories, monogram, styling, unique, creative, stencils, DIY, stamps, ribbon, diy weddings, ribbons, styles, trends, design, australia, wedding invitation ideas, Handmade Wedding Invitations, Wedding Stationery, Wedding Invitations on February 25, 2015 by R2 Networks Administrator. Daydreaming about the perfect wedding invitation - an elegant design with some glitz and glamour on the side? You can have yourself luxurious handmade wedding invitations with a little help from the DIY Invitations online shop. It has everything you'll need to put together a beautiful handmade wedding invite to present to your guests that will be the talk of the town! Here's what you will need to get you started on your luxury DIY wedding invitations. With the help of pre-cut shapes as well as printable templates for you to use in your DIY wedding invitations and other wedding stationery which includes invitation accessories, on-the-day wedding stationery for the ceremony and reception, you’ll be able to create beautiful & luxurious wedding invitations and stationery. You are given the choice of over 50 shapes for DIY wedding stationery (be it folded, flat, die-cut to envelope seals & sticker and tags) across 10 paper types and more. If you want to customise existing printable templates then you can by choosing from the 100 flat designs, 60 folded designs, 5 die-cut designs, and 15 odd wedding stationery accessories such as labels, envelope seals & stickers, tags, envelope liners, and much more. You can easily use the wedding invitations & stationery shapes or printable templates to act as the base of your luxurious DIY wedding invitations & stationery. By personalising your wedding invitation wordings, you can easily add a professional look to your DIY wedding stationery as you can even include guests name to whichever stationery choice you want, whether it’s the wedding invite, reply card, order of service card, place cards or any other stationery item that you’d like to personalise. If you’re looking to add some beautiful textures, colour and glitz to your wedding invites and matching wedding stationery, then choose the specialty paper stock for your crafts. With the help of a various layering designs you can be inspired to create your own. Use a pair normal or specialty scissors or cutters/punches if you can get a hold of a few that goes in line with your design drafts. You can use a 4 layer design with the printable template as the base (in the case of a wedding invite) and add a specialty wedding paper layer (such as that of a pebbled bronze paper), another paper layer that matches the base of the invite and another specialty paper layer and to finish it off a monogram square inset with the wedding date, Doesn’t that paint a pretty picture? Apart from these you also can accompany it with ribbons, embellishments such as buckles or clusters to adding pearl or rhinestone accessories to highlight printed design, or even use glitter or embossing glue to add some texture and pizzazz to your luxury handmade wedding invitations. It’ll be the masterpiece for sure! This entry was posted in DIY Boxes, DIY Embellishments, DIY Invitations Ideas, DIY Paper & Card Stock, DIY Wedding Invitations, Wedding Invitations Ideas, Wedding Speciality Paper and tagged DIY Wedding Invitations, luxe wedding invites, gift bags, napkin band, placemat, on the day, wedding day stationery, diy wedding invitation templates, diy brides, layered, hardcover, handmade, paper crafts, laser cut, paper cut, invitation boxes, diy boxes, stickers, seals, unique envelopes, photographs, liners, diy envelope, washi tape, gift wrapping, watercolour, DIY invitation boxes, luxury, hardcover wedding invitations, accessory, paper stock, card stock, gift boxes, brides, easy DIY, box, punches, invite, cards, accessories, invites, monogram, styling, unique, creative, stencils, DIY, wedding, stamps, ribbon, diy weddings, ribbons, styles, trends, design, australia, wedding invitation ideas, Handmade Wedding Invitations, Wedding Stationery, Wedding Invitations on January 15, 2015 by R2 Networks Administrator. As you plan for your wedding or any special occasion you’re having, you look for ways to make your wedding guests feel loved and thought of. Gifts are such a nice way of doing this, and gift boxes make it easy and convenient to do where not much preparation is needed, especially if you’re getting DIY gift boxes. We’ve compiled a list of the best DIY gift boxes and gift bags available to you, brought to you by the DIY Invitations online shop based in Australia. You may find that boxes are very useful when you want an elegant and crisp wedding. Here are some instances. Your uses for gift boxes may start off with when you ask your bridesmaids/groomsmen to be part of your wedding and take up respective duties. Along with a “Will you be my Maid of Honour/Bridesmaid?” or “Will you be my Best Man/Groosman?” you can send along gifts that are appropriate. These can include a set of toiletries for either gender along with personalised cards so that they may keep them as mementoes. Another way to include DIY gift boxes into your special day is by enclosing your wedding invitations snugly inside DIY wedding invitation boxes. You can even include potpourri or confetti; cover the invite card in tissue or anything that relates to your wedding theme. Finish it off with a ribbon wrap and present it to your wedding invitees. Wedding favours or bombonieres as they are often called are ways in which the newlyweds can give thanks in the form of a gift. Whatever your gift of choice may be, whether in the form of sugar almonds, Ferrero Rocher chocolates to champagne flutes, personalised magnets, mugs and more, they can all be fitted into the many gift box options available that range from pillow boxes, trinket boxes and cube boxes that are either made out of card stock or clear PVC for your aesthetic designs, and decorative and/or wrapping options. When it comes to special occasions, you may need boxes to hold the gifts for the recipient(s). Depending on the size and what it may hold, you are given a large range of options to choose from, and they are all available as flatpacks so you can easily put it together. Here are the gift boxes available. We’ve also provided in the gift bag options too. This entry was posted in DIY Boxes, DIY Invitations Ideas, DIY Wedding Invitations, Wedding Invitations Ideas and tagged DIY Wedding Invitations, gift bags, napkin band, placemat, on the day, wedding day stationery, diy wedding invitation templates, diy brides, layered, hardcover, handmade, paper crafts, laser cut, paper cut, invitation boxes, diy boxes, stickers, seals, unique envelopes, photographs, liners, diy envelope, washi tape, gift wrapping, watercolour, DIY invitation boxes, luxury, hardcover wedding invitations, accessory, paper stock, card stock, gift boxes, brides, easy DIY, box, punches, accessories, invites, monogram, styling, unique, creative, stencils, DIY, stamps, ribbon, diy weddings, ribbons, styles, trends, design, australia, wedding invitation ideas, Handmade Wedding Invitations, Wedding Stationery, Wedding Invitations on December 22, 2014 by R2 Networks Administrator. Trying to decide on the best possible card and shape for your wedding invitations and you're unsure of which shape to choose, leave alone the styles that are traditionally used. At DIY Invitations Australia, we make it easy to decide which wedding invitation template is best suited as you can easily browse through the types, style and shapes of wedding invitations templates available and not to mention also wedding stationery to be used for the ceremony, reception and even thank you notes and more. The wedding invitation templates can be divided into three main categories; flat wedding invitation templates, folded wedding invitation templates, and die-cut wedding invitation templates. Under the Flat Wedding Invitation Templates, you'll find various "flat" cards which include a sheet of card stock cut into various shapes and sizes. The cards are ideal if you are planning on creating layered wedding invitations and using only a few printed flat cards to include the text/invitation wording. The Folded Wedding Invitation Templates on the other hand includes a folded sheet of card stock, fitting into the standard sizes for the envelopes that are needed to post them in or relevant to the proportions that are the norm in the case of Order of Service cards, table place cards, and thank you cards to name a few. When it comes to your wedding invitations, you'll find that the wedding invitations are traditionally folded whilst the likes of the reply card, directions & accommodations card, and wishing well & gift registry card are flat wedding invitation printing templates. A unique type of folded wedding invitation includes the origami variety of cards available through DIY Invitations Australia. The Die-Cut Wedding Invitations Templates include flat or folded variety of invitation/stationery cards that are cut to a certain shape prior to/for assembly. These can include printed templates for boarding pass wedding invitations, and origami folded wedding invites to name a few. These DIY wedding invitation templates can also be printed with your personalised wedding invitation wording. You can even go the distance by also having the individual wedding invitation and their respective accessories printed with the names of each guest. If you require graphic design assistance for your wedding invites, talk to the DIY Invitations designers to come up with a beautiful handmade or printed wedding invitation that will be unique and memorable. If you also require other DIY wedding stationery services, there are also the likes of envelope seals & stickers, envelope liners, tags and more. This entry was posted in DIY Invitations Ideas and tagged DIY Wedding Invitations, napkin band, placemat, on the day, wedding day stationery, diy wedding invitation templates, diy brides, layered, hardcover, handmade, paper crafts, laser cut, paper cut, stickers, seals, unique envelopes, photographs, liners, diy envelope, washi tape, gift wrapping, watercolour, DIY invitation boxes, luxury, hardcover wedding invitations, accessory, paper stock, card stock, brides, easy DIY, punches, accessories, monogram, styling, unique, creative, stencils, DIY, stamps, ribbon, diy weddings, ribbons, styles, trends, design, australia, wedding invitation ideas, Handmade Wedding Invitations, Wedding Stationery, Wedding Invitations on November 27, 2014 by R2 Networks Administrator. If you're looking for unique ways to make an impression with your wedding style, start with precut wedding invitations from DIY Invitations Australia. With a fabulous and vast array of precut wedding invitations in various choice paper qualities and styles, you can add your own signature mark and/or personality to your wedding with the news and invitation of the nuptials. At DIY Invitations, you are able to browse through the great choices in store for you when it comes to handmade weddings. In recent years, there has been a boom in DIY weddings, with brides and grooms looking for ways to cut down on their budgets and/or create a truly unique wedding experience for themselves and their guests. You can start off with precut wedding invitations, it’s accessories and then move onto the wedding stationery to have your theme flow cohesively for a truly seamless wedding theme that your wedding invitees and guests will reflect about your wedding in years to come about the effort and thought that was put into creating a beautiful wedding day to be shared by all those present. Precut wedding cards come in a variety of shapes and they compatible with most inkjets and laser printers, where all DIY Invitations papers are suitable for laser printing whilst the white textured linen paper is best suited for ink jet printers. The precut cards can be easily fed into your printers to print the design you have designed yourself, If you’d prefer to have a few samples ordered to try out the design before purchasing in bulk, you can do this, This way you try out a few looks and get feedback on them from family and close friends and you will be saving in case it doesn’t work out and you want to try another option or style. There are over 40 flat cards and inserts, over 15 folded cards, a few options of die cut shapes such as boarding pass wedding invitations, oval/rectangular seals and thank you tags, to name a few wedding stationery items. 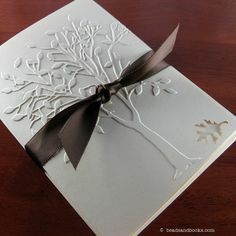 Apart from these precut wedding invitations and stationery items, there are also other embellishment accessories under the Avery Labels brand that includes gift tags/labels and party bag kits in a variety of white and kraft paper as well as clear stickers where you are able to print on designs and text as per your liking. At DIY Invitations Australia, we are committed to helping you make your dream wedding come true therefore we also offer graphic design services to help you with getting your own custom design printed onto your DIY wedding invitation kits before you add your own personal touch when assembling them. This entry was posted in DIY Invitations Ideas and tagged DIY Wedding Invitations, precut wedding invitations, die cut cards, precut cardds, napkin band, placemat, on the day, wedding day stationery, diy wedding invitation templates, diy brides, layered, hardcover, handmade, paper crafts, laser cut, paper cut, stickers, seals, unique envelopes, photographs, liners, diy envelope, washi tape, gift wrapping, watercolour, DIY invitation boxes, luxury, hardcover wedding invitations, accessory, paper stock, card stock, brides, easy DIY, punches, accessories, monogram, styling, unique, creative, stencils, DIY, stamps, ribbon, diy weddings, ribbons, styles, trends, design, australia, wedding invitation ideas, Handmade Wedding Invitations, Wedding Stationery, Wedding Invitations on November 23, 2014 by R2 Networks Administrator. If you're on a budget or you like being self-sufficient, there may be a number of reasons why you want to DIY your wedding stationery (starting with your DIY wedding invitations). There are many colours, shapes, styles and materials you can use depending on your inspiration or design vision/creative direction. Whichever way you choose to do up your DIY wedding invitations & stationery, be informed that certain online stationery and printing shops such as DIY Invitations Australia also offers you a very convenient choice of choosing foil designs too. Keep on reading for more information on how you can get your very own foil DIY wedding invitations & stationery. First off, visit the DIY Invitations Australia website, find the online invitation templates. Download them (they are available in both Adobe InDesign and Microsoft Word templates), add your own creative flair and then convert your design into a PDF format where you can then upload it online to place your order. Flat wedding invitations offer a crisp way of presenting your wedding information. Where the paper weight needs to be over 200gsm making it strong enough to hold on its own, these flat DIY cards can be used for a number of wedding stationery items. You can choose them for your foil DIY wedding invitations, reply cards, wishing well cards, directions & accommodations cards and even your thank you cards. The choices available vary in size and also the templates available for choosing differ depending on font type and typography as well as foil print colour, between gold and silver. 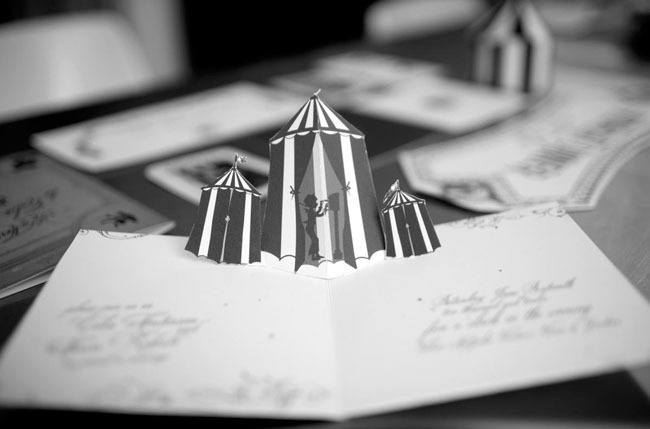 Folded cards on the other hand gives you more space to work with, letting you include all the information you need to share with your invitees. Available across a series of styles and sizes, with some even including various add-ons (such as a pocket flap - making it a pocket wedding invitation that can house wedding invitation accessories), folded DIY cards are really convenient has you can easily fit all the accessories neatly together before putting them into the wedding invitation envelope. You also have the option of choosing passport styled foil DIY wedding invitations too, with a beautiful foiled emblem on the front (such as palm tree, a hibiscus flower or even a turtle). Other items available to you to match your foil DIY wedding invitations include Envelope Seals & Stickers, Envelope Liners, and Tags that are foiled in gold or silver depending on your colour scheme choice. This entry was posted in DIY Invitations Ideas, DIY Paper & Card Stock, DIY Wedding Invitations, Wedding Speciality Paper and tagged DIY Wedding Invitations, foiled wedding invites, foil diy wedding invitations, luxury, hardcover wedding invitations, accessory, brides, easy DIY, accessories, styling, unique, creative, DIY, ribbon, ribbons, styles, trends, design, australia, wedding invitation ideas, diy invitations, Handmade Wedding Invitations, Wedding Stationery, Wedding Invitations on November 14, 2014 by R2 Networks Administrator. More and more brides are getting more and more involved in wedding planning, right down to the making wedding items and elements themselves, such as DIY wedding invitations and stationery to the wedding decor. However, at the time of the wedding, the decor needs to be handled by somebody else, but the wedding stationery and invitations can be sorted out way in advance, and therefore is a convenient choice to DIY when it comes to their wedding. You have the option of going with both DIY Wedding Invitations and Stationery Kits or to start from scratch with DIY wedding paper, trims, embellishments and more. Depending on which choice you opt for, the next stage is done accordingly. Let’s look at both options. When choosing this option, you need to have a theme or vision in mind to make sure that you do not purchase the kits and then later change your mind. Therefore, sketch it out and then look for the type of kits that match your criteria. Whether it's shape, sizing or the way it is styled or folds, there are many things to look at, not forgetting colour, of course. The next stage would be to opt for printing or to do it on your own. Some of the best wedding invitations retailers allow you to customise your DIY wedding invitations kits from the start, just by giving them the guest list and they will print it for you and have it delivered. If you opt of out this option, then you can go with a calligrapher, or if you have beautiful handwriting, then you can go ahead and do it yourself. However, if you are going to have the wedding invitation wording printed separately, then that item can be left as the final touch, which then needs to be attached to the wedding invite creation. You may opt to add ribbons, floral embellishments, studs, buckles and so more for that added glam. If you are doing the wedding invitations and stationery from scratch, you will need tools and materials. Here are some items you will need, and it is always best when you have a vision and theme before starting and even buying the materials in question. With these tools and materials, you can set about making the vision of your DIY wedding invite and stationery come alive. Make sure to be careful when using these tools, especially the cutters and scissors to not hurt yourself, and enjoy creating your masterpiece. Always create a sample beforehand to make sure you know what you want and you can see the intended result so that all your DIY wedding invites and stationery maintain the same standard. This entry was posted in DIY Embellishments, DIY Envelopes, DIY Invitations Ideas, DIY Paper & Card Stock, DIY Wedding Invitations and tagged DIY Wedding Invitations, napkin band, placemat, on the day, wedding day stationery, diy wedding invitation templates, diy brides, layered, hardcover, handmade, paper crafts, laser cut, paper cut, stickers, seals, unique envelopes, photographs, liners, diy envelope, washi tape, gift wrapping, watercolour, DIY invitation boxes, luxury, hardcover wedding invitations, accessory, paper stock, card stock, brides, easy DIY, punches, accessories, monogram, styling, unique, creative, stencils, DIY, stamps, ribbon, diy weddings, ribbons, styles, trends, design, australia, wedding invitation ideas, Handmade Wedding Invitations, Wedding Stationery, Wedding Invitations on October 17, 2014 by R2 Networks Administrator. Will you be a DIY bride or not? DIY makes things fun, exciting, and one of the best projects to work on as a DIY bride would be your wedding invitations and stationery. This week we are focusing on 'Paper Cutting' techniques. It will include information on how you can create beautiful and elegant DIY wedding invitations. Amaze your family, friends, and guests with such a great creation. Here is how and what you will need. Once you have your design template, you need to determine what you want to cut, that is for positive or negative space, but essentially, what you are usually aiming for is a cutout. Some of us have difficulty transferring the pattern or template for your paper cutting. There are a number of ways in which you can go about it whereby the easiest would be to print it onto the DIY wedding invitations. However, you can also opt to make a template cut-out or print the design or image, stick it onto the wedding invite card and then cut out the design till its complete. Another way would be to use either tracing paper or carbon paper to transfer the template onto the wedding invite paper. This entry was posted in DIY Invitations Ideas, Wedding Invitations Ideas and tagged DIY Wedding Invitations, napkin band, placemat, on the day, wedding day stationery, diy wedding invitation templates, diy brides, layered, hardcover, handmade, paper crafts, laser cut, paper cut, stickers, seals, unique envelopes, photographs, liners, diy envelope, washi tape, gift wrapping, watercolour, DIY invitation boxes, luxury, hardcover wedding invitations, accessory, paper stock, card stock, brides, easy DIY, punches, accessories, monogram, styling, unique, creative, stencils, DIY, stamps, ribbon, diy weddings, ribbons, styles, trends, design, australia, wedding invitation ideas, Handmade Wedding Invitations, Wedding Stationery, Wedding Invitations on September 24, 2014 by R2 Networks Administrator. 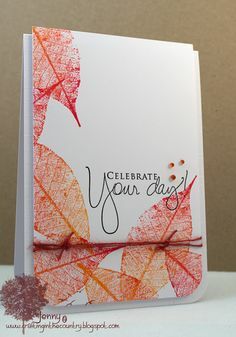 Embossing is a great way to add a touch of pizzazz to a simple design. What this design technique is a way of creating a raise or 3D image out of a piece of paper. This can be done using a myriad of options and shapes, and though it can be professionally done, a DIY bride can have a go at it too, as long as you have the right utensils or know what to use. With a little bit of know-how, you too can dabble in embossing to make your very own DIY wedding invitations with a beautiful finish. Multi-Level Emboss: This type of embossing is similar to the single-level emboss, but done at varying levels or tiers, giving it a further 3D look. For example, if you want to do a three tiered heart design embossed onto your DIY wedding card, then this would be ideal. Sculptured embossing, self-embossing, single level embossing, printed embossing, multi-level embossing, dry embossing and debossing can be easily done using a few simple utensils, such as a light box (when debossing and dry embossing), stencils, stylus, card stock, rolling pins and stamps, and stamped templates for a patterned effect when creating your very own DIY wedding invitations. This entry was posted in DIY Embellishments, DIY Invitations Ideas, DIY Paper & Card Stock, DIY Wedding Invitations, Wedding Invitations Ideas, Wedding Speciality Paper and tagged DIY Wedding Invitations, napkin band, placemat, on the day, wedding day stationery, diy wedding invitation templates, diy brides, layered, hardcover, handmade, paper crafts, laser cut, paper cut, stickers, seals, unique envelopes, photographs, liners, diy envelope, washi tape, gift wrapping, watercolour, DIY invitation boxes, luxury, hardcover wedding invitations, accessory, paper stock, card stock, brides, easy DIY, punches, accessories, embossing, monogram, styling, unique, creative, stencils, DIY, stamps, ribbon, diy weddings, ribbons, styles, trends, design, australia, wedding invitation ideas, Handmade Wedding Invitations, Wedding Stationery, Wedding Invitations on September 3, 2014 by R2 Networks Administrator. A blank canvas is what we always start with, whether it is a painting or a wedding, or even the wedding invites. That is why many couples to be wed opt for DIY wedding invitation kits so that they can make their own masterpiece to represent the happiest day of their lives. A DIY wedding invitation kit lets you figure out what your end result would be from the get-go. You can do up some samples and compare them at first before you set your mind to it, and even ask your closest friends and family for their opinion before committing to your choice of design and creation as your wedding invitation. The first step is to decide on the base colour that you want your DIY wedding invites in. You could take the easy route and choose either white or a neutral hue because you can never go wrong. If you are not sure of what you want, order a few samples in advance and try then out with the other accompanying materials you have acquired to add colour and ‘oomph’ to the wedding invite ensemble. You can add that special touch with the help of the following. Ribbons & Lace: Ribbons and lace would be easiest way to add pops of colours onto your DIY wedding creation. Not just using it, but the way you use it makes a difference. You can pair a few different colours together, or even weave them into a design. Watercolour Paint: Watercolour paint creations are beautiful, because not only are you adding your own personal touch, but also the colour from watercolours leaves a beautiful texture when completed. Dyeing and Paper Texturing: A great way to add a twist to your DIY wedding invite paper would be to add colouring, in terms of dyeing, which can be done using watercolour itself, or even applying a coat of watercolour paint using a sponge or cloth. Stamps: Stamps are great ways to add a professional looking finish with flowing and intricate designs to your wedding invite. Choose designs that go well together, or overlap in different colours to bring life into the wedding card. Stencils: Stencils are also great ways in which you can acquire great and intricate designs, where all you need to do is colour over a stencil, and presto, you have yourself beautiful look. Stitching: Some brides opt to add a bit of stitching for a homely feel. If your wedding is a casual one, or you have a notebook or cross-stitch theme going on, this would be ideal. Embellishments & Accessories: Adding buckles or little diamante brooches in varying colours depending on your theme would be ideal for bursts of colour in the right amounts. Envelope Liners: Another way of adding colour to your DIY wedding invitations is to add a great DIY envelope liner that surprises your guests as they open it. It can be anything from a design, pattern to even photographs. This entry was posted in DIY Envelopes, DIY Invitations Ideas, DIY Wedding Invitations and tagged DIY Wedding Invitations, napkin band, placemat, on the day, wedding day stationery, diy wedding invitation templates, diy brides, layered, hardcover, handmade, paper crafts, laser cut, paper cut, stickers, seals, unique envelopes, photographs, liners, diy envelope, washi tape, gift wrapping, watercolour, DIY invitation boxes, luxury, hardcover wedding invitations, accessory, paper stock, card stock, brides, easy DIY, punches, accessories, monogram, styling, unique, creative, stencils, DIY, stamps, ribbon, diy weddings, ribbons, styles, trends, design, australia, wedding invitation ideas, Handmade Wedding Invitations, Wedding Stationery, Wedding Invitations on August 30, 2014 by R2 Networks Administrator. Table accessories are important when you want a finished look for your tables at your wedding reception. Now, if you have delightful wedding invitations sorted out, which you made yourself, then why not go the extra mile and also do up DIY wedding table accessories to carry on the same theme of your DIY wedding invitations. You can draw the same inspiration from the wedding invites theme, and then start from there. These themes can be anything from floral designs, garden inspired elements, hearts, or even a beach theme. Some truly unique wedding invites have origami creations attached to the front facing, so why not continue that throughout your wedding stationery as well, including your placemats and napkin bands. Here are some ways n where you can purchase yourself some DIY stationery kits for the likes of placemats and napkin bands, and add trims and accessories to make unique creations for your special day. Having categories them by floral elements, paper art and origami, and beads, buckles and diamante, here at DIY Invitations, we will present to your options which you can use, be inspired and enhance upon to make your big day truly special. Flowers added to DIY Napkin Bands. You can both use a real flower, or artificial flower, and then pin it to your napkin band, to add glamour to the ensemble. You can do the same to the placemat, by adding it to a corner. The same can be done with paper as well. Burlap flowers for Napkin Bands and Placemats. You can add burlap onto the base of a DIY paper placemat to create a texture and contrast as well as make a burlap flower and pin it to the napkin band. Ribbons and Lace materials for Table Accessories. You can put ribbons and lace into great use. Not only can you make various flowers out of these materials, but also they are also great to use as placemat, be it as a lace material in whole, or intertwine ribbons and lace streamer, in a weave pattern. There are many ways to put them to use. Paper flowers added to DIY table accessories. You can use paper art or be creative to make floral origami and add it to the napkin band and placemat, which would be similar to the first options given in floral elements. Tissue Flowers added to DIY table accessories. Similar to paper flower, you can use tissue materials to make tissue flowers or pompoms, which can be added to your table centres, napkin bands, and placemats. Paper Doilies for Table Accessories. You can use paper doilies in varying colours, as the base of your placemat, or use then to highlight your napkin band, or even turn it into a flower. Laser cut or cutouts of designs according to your theme. If you do not want to use doilies, and want your own designs, you can use the laser cut technique on your DIY stationery, and make yourself an ornate and intricate design for your placemats and napkin bands. Beads for your DIY Stationery. Using a design of beads, make it as a flower, a shape, or something from your theme, can spruce up for your napkin bands and the placemats in a great way. Adding buckles to your DIY table accessories. Buckles either made out of beads or diamante, are great additions to your ensemble. Add a splash of glamour with these options. Mix and Match your Materials for your DIY table stationery and decor. Using all the options given here, you can make a beautiful array of creations that will be ideal for your big day. Choose wisely, and make samples to see for yourself and pick the best one out of the lot. This entry was posted in DIY Invitations Ideas, DIY Paper & Card Stock, DIY Wedding Invitations and tagged DIY Wedding Invitations, napkin band, placemat, on the day, wedding day stationery, diy wedding invitation templates, diy brides, layered, hardcover, handmade, paper crafts, laser cut, paper cut, stickers, seals, unique envelopes, photographs, liners, diy envelope, washi tape, gift wrapping, watercolour, DIY invitation boxes, luxury, hardcover wedding invitations, accessory, paper stock, card stock, brides, easy DIY, punches, accessories, monogram, styling, unique, creative, stencils, DIY, stamps, ribbon, diy weddings, ribbons, styles, trends, design, australia, wedding invitation ideas, Handmade Wedding Invitations, Wedding Stationery, Wedding Invitations on August 15, 2014 by R2 Networks Administrator. Most of the bridal couples out there want something different and memorable to represent their special day. Some of them opt to go down the DIY wedding invitations route, some look for handmade layered wedding invites and the rest, they look for ways in which to make the most unique wedding invites out there. In this article, we will be looking at ways in which you can make DIY Wedding Invitations with pop-up designs and styles. Firstly, you will have to decide where you are going to host your special day, in terms of the ceremony and the reception. Once that is sorted out, you will need to figure out the dates and times which the venues are available to you. Accordingly, you will have all the information you need to start on your wedding invite wording. If you want to create a pop-up wedding invites, then there are several steps to take, as mentioned below. Look around for inspiration and ideas on what your masterpiece will be like. What will be the colour, or the theme and other decorations you will include in the final product? What will pop-up when the card is opened? Acquire the DIY wedding invitations kits from your wedding invitation retailer, such as DIY Invitations. Make sure that you have selected the best option for you in terms of colour and design. If you are not too sure at this stage, order some samples and then use them to create mock-ups of the design. Try out various layouts and locations of the wedding invitation wording as well as the designs to see what is best suited for your type of wedding invites. Make sure to select the styles for the wording, colours for the text and the background, as well as how the entire text block will appear. You could stylise it to imitate a shape on the card, or something else entirely. However, make sure that you leave enough room for the pop-up material. Come up with a design or pattern which you want to use with the pop-up. Order the materials you require, in terms of extra coloured or speciality paper, to scissors, cutters, rulers and more. Make sure to leave a percentage off the edges for construction, and even use tissues or fanned paper when making mock-ups. Once you have a design or pattern figured out, make sure to have then cut out in the template of your choosing and ensure that they have been cut out correctly. Fix these to the DIY wedding invitation sample card and try it out by gluing the main component on side A, which gluing on the sleeve, which will allow the item to pop up when opened. Make sure that folding the card is easily done, because you need it to close properly and pop out when opened. This entry was posted in DIY Paper & Card Stock, DIY Wedding Invitations, Wedding Speciality Paper and tagged DIY Wedding Invitations, pop up, diy wedding invitation templates, diy brides, layered, hardcover, handmade, paper crafts, laser cut, paper cut, stickers, seals, unique envelopes, photographs, liners, diy envelope, washi tape, gift wrapping, watercolour, DIY invitation boxes, luxury, hardcover wedding invitations, accessory, paper stock, card stock, brides, easy DIY, punches, accessories, monogram, styling, unique, creative, stencils, DIY, stamps, ribbon, diy weddings, ribbons, styles, trends, design, australia, wedding invitation ideas, Handmade Wedding Invitations, Wedding Stationery, Wedding Invitations on August 8, 2014 by R2 Networks Administrator. A simple thank you goes a long way. When you take the time out of your busy schedule to send out a personal and sincere note of thanks, that means a lot. In this blog post, we will look at a beautiful and yet simple way you can deliver a truly personal wedding thank you card to your guests. The basics include DIY wedding thank you cards, a monogram stamp, thermal embossing powder, and copies of some of your wedding photos of your choosing. To get started, take care of the stamping so that you do it neatly. Start with the “Thank You” stamps, using tags, such as luggage tags, or custom tags in the sizing you want, or cut out tags from paper you have acquired. Stamp the tags with the regular ink by pressing it down on the paper firmly, but make sure to remove the stamp quickly so that you do not create ink blotches in the free space and keep it aside to dry completely. After you have a completed wedding thank you card with the wording written inside, you can proceed to put together your wedding thank you package, which includes the photographs inserted into the thank you card, all included in the envelope. Following this, you can tie your ribbon or string in an appealing manner and finish it off with the ‘Thank You’ tag. Now, you have a beautiful and personal DIY thank you card, ideal to let your guests know how much their presence at your wedding meant to you and your spouse. This entry was posted in DIY Invitations Ideas, DIY Paper & Card Stock, DIY Wedding Invitations, Wedding Invitations Ideas, Wedding Speciality Paper and tagged DIY Wedding Invitations, diy thank you card, heat gun, powder, diy embossing, diy wedding invitation templates, diy brides, layered, hardcover, handmade, paper crafts, laser cut, paper cut, stickers, seals, unique envelopes, photographs, liners, diy envelope, washi tape, gift wrapping, watercolour, DIY invitation boxes, luxury, hardcover wedding invitations, accessory, paper stock, card stock, brides, easy DIY, punches, accessories, monogram, styling, unique, creative, stencils, DIY, stamps, ribbon, diy weddings, ribbons, styles, trends, design, australia, wedding invitation ideas, Handmade Wedding Invitations, Wedding Stationery, Wedding Invitations on July 31, 2014 by R2 Networks Administrator. Are you planning a truly exciting day for what many refer to as the 'Happiest Day of their Lives'? Well, that's great, especially if you are a handy DIY Bride. There are many ways that you can inject fun into your wedding day; one such way is by creating excitement leading up to the day with your DIY wedding invitations. Creating something fun is easy especially with the help of the DIY Invitations store. Enlist the help of DIY wedding envelope liners to add a little wow factor to your DIY wedding invitations. Find everything you might need for to add a little magic to your DIY wedding invitations and stationery for your handmade Australian wedding! Envelope liners give your wedding invitees a bit of a pleasant surprise as they open up the envelope to take a glimpse of the contents within. If you have selected a wedding theme already and if it revolves around a colour and pattern, the best possible thing you should or could do is use the chosen colours or pattern and use it in your DIY wedding envelope liners. The DIY Invitations wedding envelope liners fit into the 150mm square envelope perfectly. However, that's not all that's available; you get the added bonus of also including the Bride and Groom's names onto the liner, even a one-liner or personalised message. You can also include instructions for the designers at DIY Invitations so that you get a personalised DIY wedding invitation envelope via the online system provided by DIY Invitations. Isn't that great? The variety of DIY wedding envelope liners are many from solid colours to patterns such as damask, swirls and stripes, as well as finishes such as foiled in metallic gold. Take a pick of what is available, and match it as best as you can with your DIY wedding invitations creations. These DIY wedding envelope liners are delivered to you as part of a flat pack, where you can use either double-sided tape or a thin line of glue to fix the liner onto the inner flap sleeve of the DIY wedding invitation envelope. Apart from the pop that DIY wedding envelope liners give, you can also add to it with the help of accessories such as envelope stickers and seals. Personalise them to match the look of your DIY wedding invitation in terms of colour and font face, and include the names of the couple, a monogram or even a short message. This entry was posted in DIY Envelopes and tagged DIY Wedding Invitations, wedding invitation envelopes, diy envelope liners, diy wedding invitation templates, diy brides, layered, hardcover, handmade, paper crafts, laser cut, paper cut, stickers, seals, unique envelopes, photographs, liners, diy envelope, washi tape, gift wrapping, watercolour, DIY invitation boxes, luxury, hardcover wedding invitations, accessory, paper stock, card stock, brides, easy DIY, punches, envelope liners, accessories, monogram, styling, unique, creative, stencils, DIY, stamps, ribbon, diy weddings, ribbons, styles, trends, design, australia, wedding invitation ideas, Handmade Wedding Invitations, Wedding Stationery, Wedding Invitations on July 23, 2014 by R2 Networks Administrator. Did he pop the ultimate questions? Did you squeal in delight with a resounding "YES"! It's time to let everyone know, isn't it? You can throw a lovely engagement party! Invite your loved ones and close friends or even the people you are planning to invite for the wedding via some beautifully done up DIY engagement invitations. How does that sound? If you are wondering, how the DIY Invitations online store can help you with your DIY engagement invitations, we have some wonderful news. With two ways you can go about it, it's quite easy and not to mention affordable. One would be doing it from scratch whilst the other would be to use the printable templates to come up with great DIY engagement invitations to celebrate the proposal and this great occasion of two unions taking the first step to spending the rest of their lives together and a happily ever after. Let's get to it, shall we? At DIY Invitations, you'll find that you can purchase items for your DIY engagement invitations without a hitch. What you'll need would be some paper and card stock that's easily available on the online DIY invitations store along with speciality paper too if you are looking to add a bit of glamour onto the DIY engagement invitations, as well as embellishments and not forgetting the envelopes to send the invitations in. Apart from these, you may need a pencil, colour pens, watercolours and other materials to bring colour into the design, a scissor or guillotine cutter, and not forgetting other creative materials that you can use to accessorise the look. These items will depend on your creative genius. Some creative DIY brides have used pressed dried flowers and leaf skeletons, to seeds and eco-friendly items. If you don't have enough time to do your DIY engagement invitations from scratch but would love to add your own personal brand of magic with an affordable price tag, then opt for DIY printable engagement invitation templates. What it's all about is you are able to get your personalised engagement invitation wording printed onto the DIY engagement invitations without a hitch as per the template you have chosen with your pick of text placement and colour selection. It's really quite easy, because they'll be delivered to your address as flat pack DIY engagement invitations and all you'll need to do then is to add the design touches, be it with pencils, watercolours or any creative method you have set your heart on. This entry was posted in DIY Embellishments, DIY Envelopes, DIY Invitations Ideas, DIY Paper & Card Stock, DIY Wedding Invitations, Wedding Speciality Paper and tagged DIY Wedding Invitations, diy engagement invitation templates, diy engagement watercolour, diy engagement invitations, hardcover engagement invitations, engagement stationery, engagement invitation ideas, handmade engagement invitations, engagement invitations, diy brides, layered, hardcover, handmade, paper crafts, laser cut, paper cut, stickers, seals, unique envelopes, photographs, liners, diy envelope, washi tape, gift wrapping, DIY invitation boxes, luxury, accessory, paper stock, card stock, brides, easy DIY, punches, accessories, monogram, styling, unique, creative, stencils, DIY, stamps, ribbon, ribbons, styles, trends, design, australia on July 16, 2014 by R2 Networks Administrator.